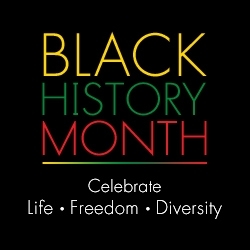 Every February across the nation people celebrate Black History Month. Positive Promotions supports highlighting the accomplishments of the African American community through budget-friendly educational tools and giveaways. Each year the month of February marks a time to remember the legacy and history of the African American community through Black History Month. Positive Promotions encourages celebrating the past achievements of African Americans as a foundation for future accomplishment through visual displays and educational materials. Their budget-friendly products can be used in the classroom, library programs, churches and other educational institutions to acknowledge a significant part of the history of the United States. Positive Promotions promotional products help spread positive and inspirational messages highlighting all that has been achieved through strong individuals and movements through the plight for race equality. All of the promotional items from educational t-shirts to buttons and wristbands serve as constant reminders of how far the African American community has come in American society. With over 40 products under $0.99, some as low as $0.20 each, Positive Promotions offers plenty of affordable products to choose from. Decorative displays like their bulletin board set and vivid posters depicting African American leaders, events and educational institutions create scholastic visuals. Through themes like, “Rooted in the Past, Growing Toward the Future,” “Believe, Achieve, Succeed,” and “Embracing the Past, Building a Future,” giveaways like pencils, dog tags, and water bottles reinforce an event and spread the proud legacy of African Americans beyond. The re-election of President Barack Obama as the 44th President of the United States has further solidified the past achievements of the African American community and proves that their struggles were not in vain. Positive Promotions has an entire line of products dedicated to commemorating the re-election of the first African American President. From lapel pins displaying the Presidential Seal with an Oath of Office Card to tumblers featuring milestones in the life of President Obama and educational activity books that teach the process of becoming a president, each of these inexpensive items sends a powerful proclamation that the African American community has flourished in society. It is Positive Promotions' strong belief that the past achievements of this country and its citizens should be celebrated. To acknowledge those who educate their community about Black History, they are pleased to announce the 2013 Black History Month Contest. Let them know how you observed Black History Month for the chance to win a prize up to $300. Send a typed description of the special activities you held during the month. List materials you used, including Positive Promotions products, and explain how they were used. Include photos, programs, and other samples of your creativity for a chance to win. Entry presentation counts. The deadline for entries is March 31, 2013. For more information visit the company’s Contest Info Center on their website positivepromotions.com. Positive Promotions is a budget-friendly, one-stop-shopping source for awareness and educational tools. It is a direct source that offers quality product at exceptional monetary value. Customers can order in 4 easy ways: online anytime at positiveblackhistory.com, by calling toll free at 1-800-635-2666 to speak to with a knowledgeable customer service representative Monday-Friday from 8am-7pm EST, by faxing an order toll-free at 1-800-635-2329 anytime, or by mailing an order to Positive Promotions at 15 Gilpin Avenue, P.O. Box 18021 Hauppauge NY 11788-8821. To request a catalog visit the company website at positivepromotions.com and click on the link under customer service.